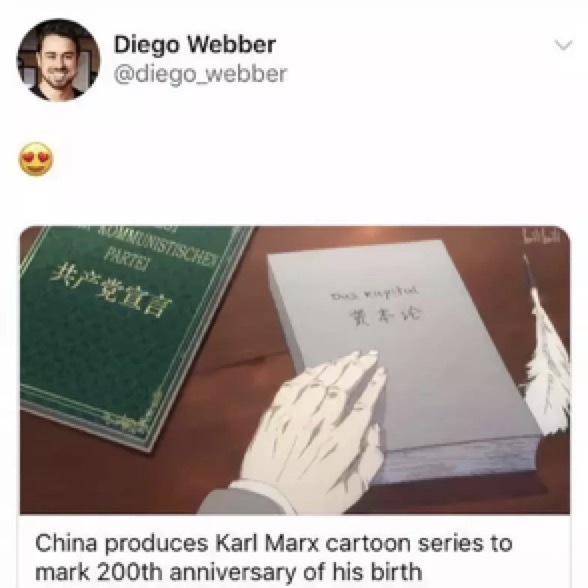 The Leader, Chinese Original Animation on Karl Marx, Goes Viral Online It's made in Hangzhou. “It’s so exciting!”“Thank you China. It’s cool！”“Thank you, China! 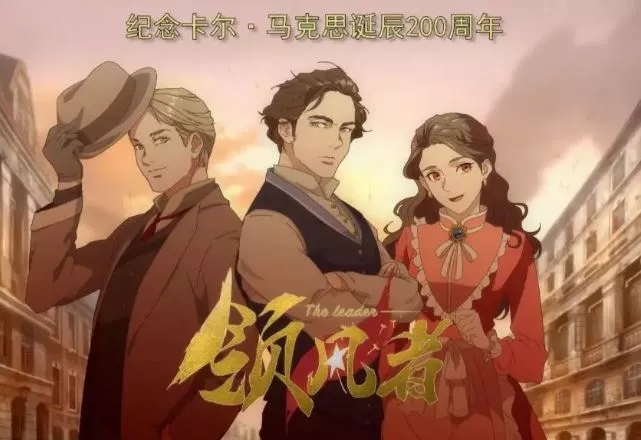 This is the holiday gift I want most!” Recently, a trailer of less than two minutes of The Leader, an animated film produced in Hangzhou, was aired on the Internet. It harvested numerous passionate confessions from netizens at home and abroad. 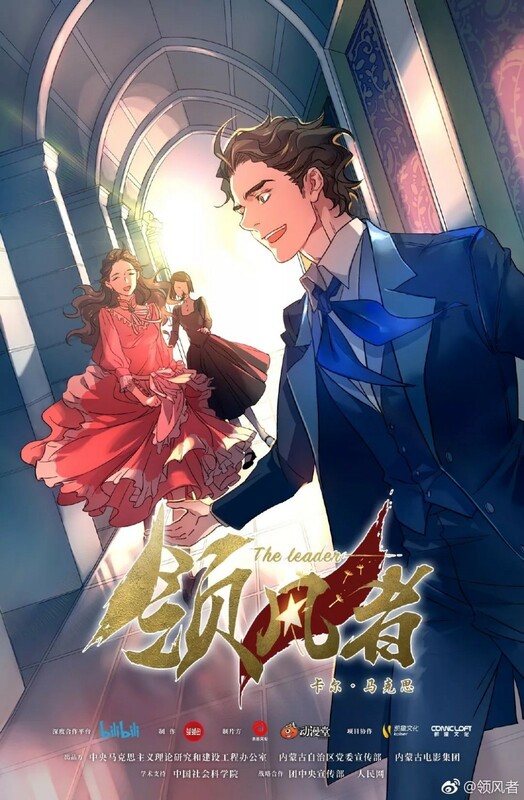 The Leader is scheduled to premiere in bilibili at 12:00, January 28. It will go online in Youku at 12:00 of January 29. It is composed of seven episodes, each lasting for 25 minutes. The Leader tells the story of the well-known thinker Karl Marx. It is produced to commemorate the 200th anniversary of his birth. It uses a “fresh, refined” unusual way. The three protagonists, Marx, Engels and Jenny, are designed to be quite young. Marx is a household name. Many people have studied the Marxist theory, but they are not so clear why he could put forward those important points, how these points were gradually matured, and were formed into theory and system. And some people may not know that Marx's achievements can not be separated from his life experience, and from his wife Jenny and good friend Engels. The Leader, in the form of animated film, has brought the real experience of Marx's life to the screen. “Only by understanding the experiences can you better grasp the theories and know how these ideas come about. The Leader tells such a process,” said Xiao Zhichao. Marx did not become a great mentor of the proletariat because of class oppression. He was the son of a lawyer. Though not an aristocrat, the family was well-off. His wife Jenny came from a noble family. Marx pursued love bravely and tenaciously as he sought truth, and won the heart of the most beautiful “goddess” in the city. To be with Marx, Jenny had almost betrayed the entire family. Such a gifted scholar and a beautiful lady rejected the worldly wealth of pleasure, to pursue feelings and beliefs higher than personal interests. The secondary leading actor of The Leader was Engels, a good friend of Marx. In the beginning, they did not have exactly the same ideas. However, through their respective studies, they finally reached a high degree of agreement. In their 20s, they put forward a scientific theory about the law of the development of human society. In the decades that followed, they fought side by side and forged a great friendship. “Marx was a great man, but he also had his side as an ordinary man,” said Xiao Zhichao. As Engels once said, Marx's outstanding contribution to the cause of communism made him the most hated and stigmatized man of his time. The governments of various countries--autocratic or republican governments--expelled him. The capitalists, conservatives and ultra-democrats alike, all vilified him and cursed him. Because of this, he and Jenny had to leave their homes, and their difficulty of life was unimaginable. This is also the significance of The Leader, a life-based biography that conveys the vivid and interesting past of the great man. It took more than a year to produce The Leader. The art style was tested for countless times, and the plot was revised repeatedly. The seemingly simple scenes are particular. For example, Marx's "home" in the film is based and restored on the real pattern of Marx's former residence. Wawayu Animation was founded in 2007. Speaking of the road to entrepreneurship, Pan Bin exclaimed there were too many difficulties. He said that many animation companies founded at the same time as Wawayu Animation had disappeared, but his company has survived and expanded stubbornly, probably because of the "stupidity" or concentration. As a decade ago, Wawayu Animation focuses on the content and, on this basis, expands the boundaries of the content. The company has also established the standardization system of animation creation, which modularizes all the creation and production processes, improving the efficiency as well as the quality and stability of the output of the works.